At first glance, it appears Cooler Master has tried to throw in all but the kitchen sink. We see RGB backlighting, dedicated media keys, a removable wrist rest with what appears to be a soft material on top, a clean case, and side plates for additional lighting. 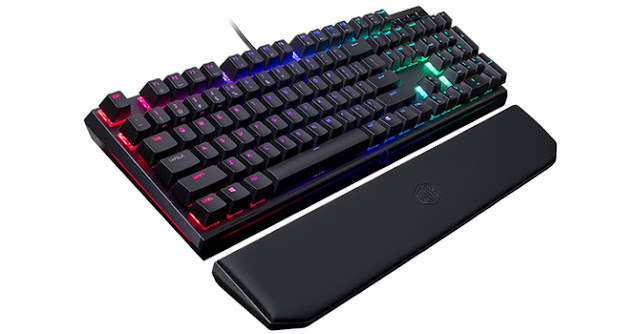 Leveraging their size and global market share, Cooler Master also offers genuine Cherry MX switches here, and more language and layout support than nearly everyone else.